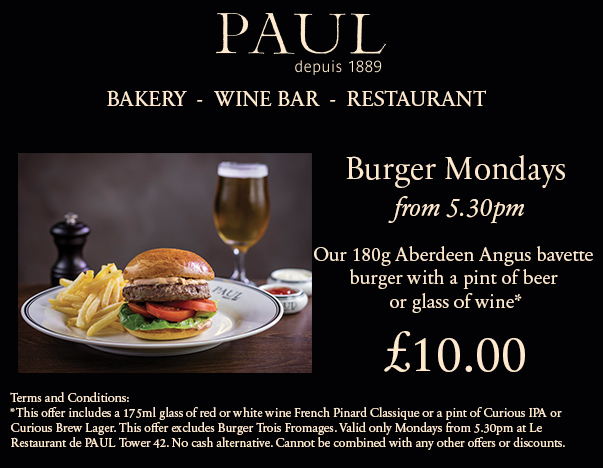 PAUL have brightened Mundane Monday’s up with Burger and a pint/ glass of wine for just £10.00! Save the cooking, save the washing up and save money… what are you waiting for? This entry was posted in Uncategorized on May 16, 2016 by sh6yw.